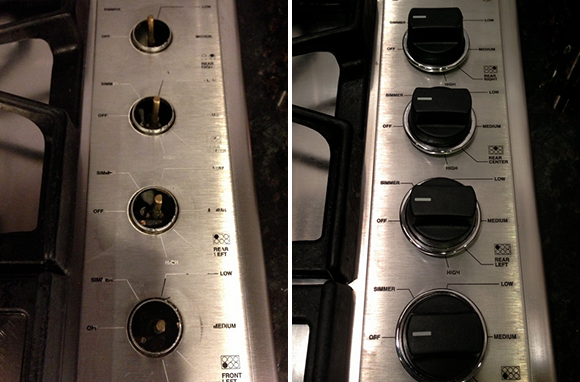 Lettering often wears off things over time, check out this amazing refresh, the stovetop looks like new again! "My Viking stove had seen its better years. I inherited the stove with much of the lettering missing, and it always pained me to see it faded. But Sugru allowed me to revive the stove so it looks brand new!" Great work Deborah, this is a fantastic way to get more life out of your existing household items.